There is perhaps no group of mammals as collectively hated as those that fall into the rodent category. Most of us regard them as vermin and would rather have them poisoned than see them on our property. While their beady eyes and habit of darting around in the dark are undeniably disconcerting, they are sometimes unfairly blamed for things—and have some major achievements that deserve our respect. While ferociousness might not be the first quality people associate with rodents, they are actually highly skilled at defending themselves and can be quite deadly (need we remind you of the man-killing beaver or the baby-eating giant rats?). While most rodents use evasion (and, if necessary, their super-strong jaws and teeth) to stay safe, there is one type of rat capable of unleashing poison on its attackers—and looking stylish in the process. It’s known as the African crested or maned rat, so called because it stores poison in the hollow hairs of its mohawk. For years, scientist didn’t know what made this large, porcupine-like rat toxic, but they recently discovered that it chews the “poison-arrow plant” and then licks the poison into the unique hollow hairs that run along its back. When the rat feels threatened, it arches its back, slicks down its ordinary hair, and shoots up its lethal mohawk. Any predator bold enough to try and take a bite out of the hairy creature ends up with a mouthful of poison and faces serious illness or death. For thousands of years, African tribesmen have used the same plant to poison their arrows to take down game as big as elephants. Yet, amazingly, the maned rat can slather the heart attack–inducing toxin all over its body with no ill effects. Most of us were taught by well-meaning history teachers that flea-ridden rats were the carriers of the bubonic plague which killed 20 million people in medieval Europe. Thus, we learned to regard rats as four-legged death squads with built-in biological weaponry. However, while rodents can carry a host of diseases, some of the newest research into the plague suggests flea-toting rats weren’t the guilty party after all. 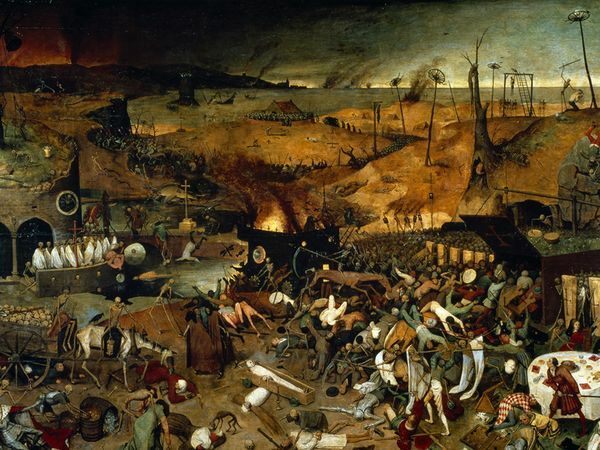 The black plague spread fastest during the winter months, and it is this fact which has archaeologist Barney Sloane and others challenging the traditional theory. Sloane argues rats and fleas couldn’t have spread the plague, because they are largely dormant in the winter, which means the infection rate should have dropped during those months, not increased. Secondly, while millions of people died and their skeletons were piled up in mass graves, there is no evidence of widespread death among rats. Rodents are not immune to the plague, so it stands to reason that if they were carriers, then we should have found mounds of rat bones as well. Sloane’s final argument is that modern bubonic plague spreads somewhat differently than what was reported in the 1300s. For instance, today’s plague usually only spreads directly from rat (or flea) to human. On the other hand, the black plague of the Middle Ages seemed to move rapidly from person to person. If there’s one question that has haunted humankind, it’s what happens to us after we die. Those who believe in an afterlife sometimes cite the many cases of near-death experiences as proof that our consciousness lives on without our bodies. And based on the very similar claims (seeing bright light, feelings of levitation, etc.) made by those who were at one point clinically dead, even scientists agree some type of unusual brain activity happens near the time of death. Yet, whether it’s paranormal or physiological has long been a subject of debate. Still, the researchers don’t think their findings prove there’s an afterlife. Instead, they theorize the increased activity is merely the brain trying to “save” itself and is the cause of the supposed near-death experiences. Sure, it would be great if rodents could help us find the cure for cancer (they just might) and other serious diseases, but we also have some vanity issues, such as baldness, we’d like them to help us sort out. Apparently we could be in luck, since Japanese scientists have successfully regrown hair on a bald mouse and are hoping to transfer the technology to hair-challenged people. The scientists were able to give the otherwise fleshy mouse its new hairdo by implanting it with cultivated hair follicles and human stem cells. After three weeks, 74 percent of the follicles grew and sprouted into black, human hair. In addition to just growing, the hair also fell out and grew back according to normal hair growth cycles. No matter how we feel about rodents, there’s no denying they’ve survived pretty well on this planet. So well, in fact, scientists have dubbed their lineage the most successful and long-lived group of mammals of all time. Confirming that notion is the recent discovery of a 160-million-year-old rodent fossil. 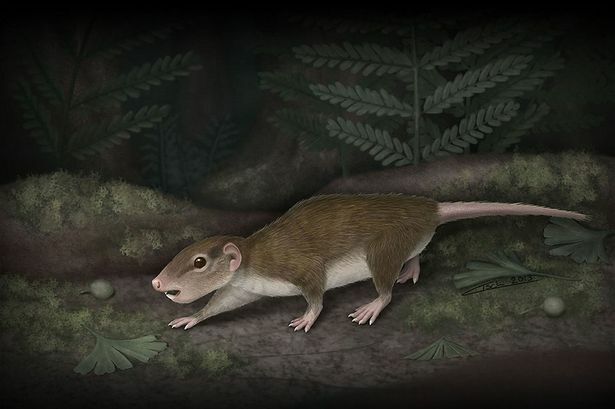 The prehistoric animal (a type of multituberculate) was similar to the modern African dormouse and lived alongside dinosaurs for 100 million years. It then existed for 30 million more years after the dinosaur extinction. It was an omnivore, about the size of a rat, and scurried around in pretty much the same way as modern rodents. No other mammal group, including humans, has existed so long. Do we have what it takes to break the record? 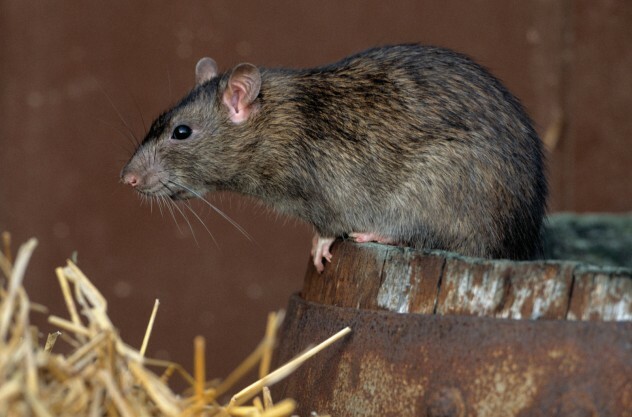 There is no shortage of islands that have suffered from a rat infestation. And while many places have successfully rid their land of the furry scourge, there are still plenty where rodents are winning the turf war. Take, for example, the Farallon Islands off the coast of San Francisco. These islands are home to all sorts of animals, including exotic seabirds and sea lions, yet it’s the area’s most common resident, the ordinary house mouse, that is turning this wildlife refuge into a nightmare island. As it turns out, the Farallon Islands are believed to have the densest population of mice in the world, and the government isn’t sure what to do about it. 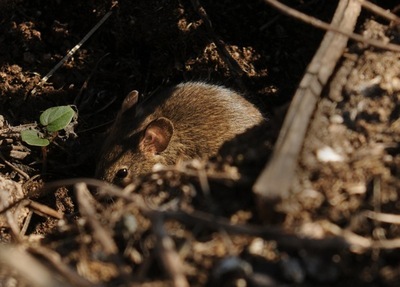 The mice arrived on the island about 100 years ago via ship and have since proliferated to the point where they’re having a negative impact on the native flora and fauna. Poisoning the pests is not the ideal option, since it would also result in other animal deaths. Officials are currently tossing around ideas for how to exterminate the rodents without decimating the natural wildlife. In the meantime, the mice have free run of the place and are happily depleting the island’s supply of salamanders and natural vegetation. Although wearing a coat made out of rat pelts sounds totally repulsive and borderline psychopathic, there is one type of rodent many of the rich and famous love to wear: the chinchilla. Yes, what some don’t realize is that chinchillas are in fact members of the order Rodentia, which means they’re related to moles, mice, rats, and similarly reviled creatures. 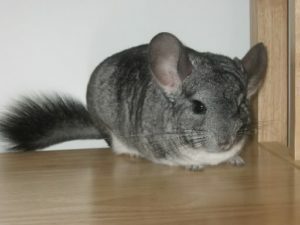 So, no matter how special someone feels for wearing expensive chinchilla, they’re ultimately just wearing rodent fur. This actually might soon come in vogue itself, as some alternative fashion designers have created clothing lines featuring swamp rat fur. Most of these designers are based in Louisiana, where the swamp rat is considered an invasive species that’s wreaking havoc on the environment. The clothing is advertised as a “guilt-free” way to wear fur, since it helps control the swamp rat population. Thanks to ancient European tradition, there’s one rodent beloved by humans—well, at least once a year. 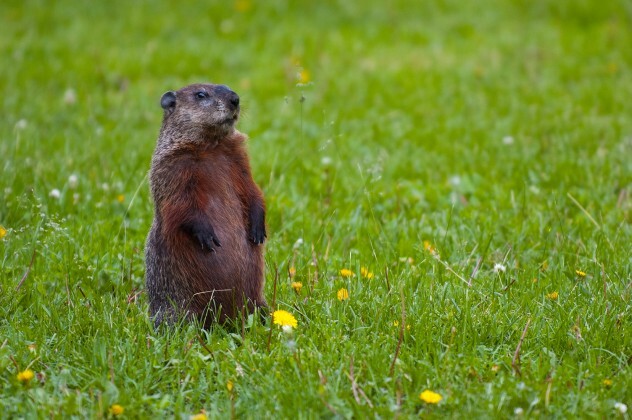 Of course, we’re referring to the groundhog, which is celebrated every February 2 in the US and Canada, when superstitious onlookers wait to see if Punxsutawney Phil (dare we say, the king of all rodents) sees his shadow, signaling six more weeks of winter. Although groundhogs are largely considered a nuisance animal the other 364 days of the year, we have to hand it to them for weaseling their way into the hearts of man, at least for a single day. The other holiday with a vermin element is Rat Catcher’s Day, which was inspired by the folk-tale of the legendary rat-wrangler, the Pied Piper. Rat Catcher’s Day is celebrated on June 26 or July 22 and, despite it having roots in stories of child abduction, it’s now a fun holiday. True, it’s more of a tribute to rat exterminators than to rats themselves, but what other critter is so hardy we have to honor those who kill it? Metacognition, the ability to think about thinking, is a skill long thought to belong only to primates. 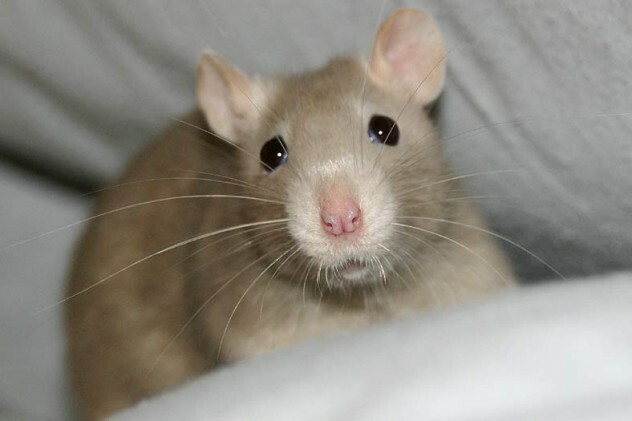 However, in 2007 scientists discovered that, like humans, rats can consider their own learning and then make decisions based on what they do or do not know. The researchers found this out by putting the rats through a series of tests where the animals could get a large treat for choosing a correct answer, get no treat for selecting a wrong answer, or get a small treat if they declined to take the test. Remarkably, the rats tended to decline difficult tests (preferring to get a small treat instead of possibly nothing) but would take the risk on easier tests in the hope of getting a big reward. This showed that rats have some level of understanding of their own cognition and can make strategic decisions based on that knowledge. Rodents of unusual size may seem the stuff of movies, yet there is a real life ROUS—the capybara, which, thankfully, is much more docile than its theatrical counterparts. The enormous animal (sometimes called a water hog) can grow as large as 154 lbs and 130 centimeters (51 in) long. 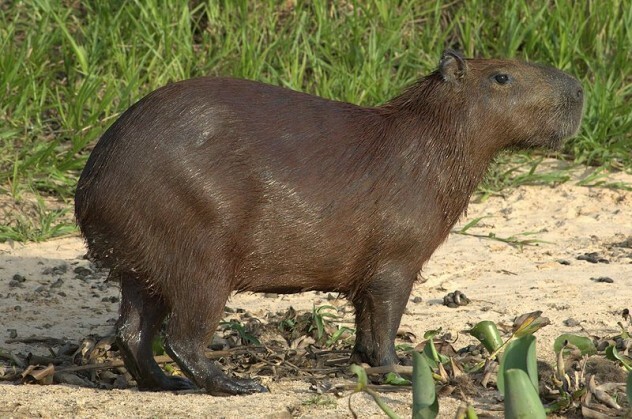 Even so, the capybara isn’t the largest rodent to have ever existed, as biologists in South America discovered a fossil from an ancient, 1,000-kilogram (2,204 lb) rat. Although it’s probably not a creature you’d want to meet in the woods, the gargantuan beast wasn’t carnivorous and subsisted mostly on vegetation.